The modern, angular Ara Single-Handle Shower Trim Only in Stainless Less Showerhead brings a contemporary edge to any home. It's a full bath suite with matching accessories, making it easy to perfectly coordinate your space. Ships without shower head, allowing you to choose the perfect style for your space. 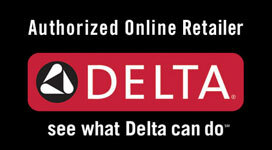 Choose from among Delta's wide selection of water-efficient shower heads with multiple spray options. Item Boxed Weight: 4.15 lbs. 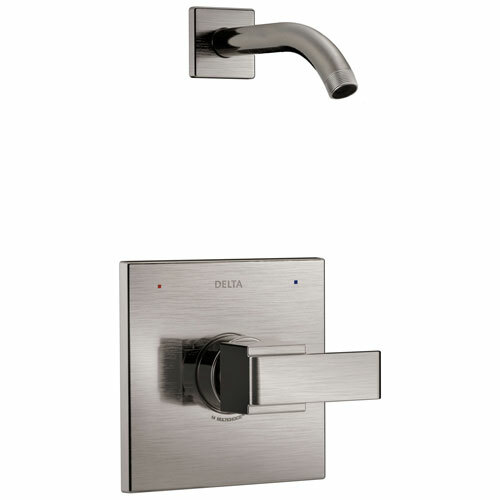 Buy this Delta Ara 1-Handle Shower Faucet Trim Kit in Stainless Steel Finish with Less Showerhead (Valve Not Included) 682970 Now!